Not all scooters are created equal. 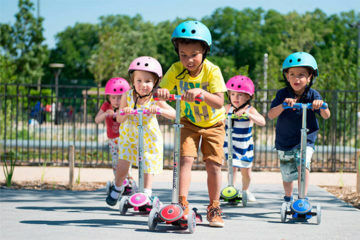 Zoomy Leisure have developed a range of whiz bang scooters perfect for kids who like to stand out from the crowd as they zoom around town. 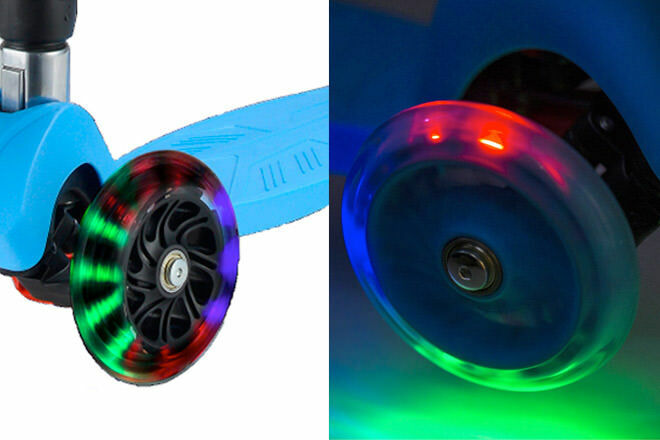 With flashing LED disco lights on the wheels to dial the fun element right up, these bright scooters are the perfect way to get your little tikes moving, day or night! Scooters are fab for helping families exercise together – adults can walk at a good pace without little legs becoming exhausted from trying to keep up. No more I’m-too-tired meltdowns! Raining outside? 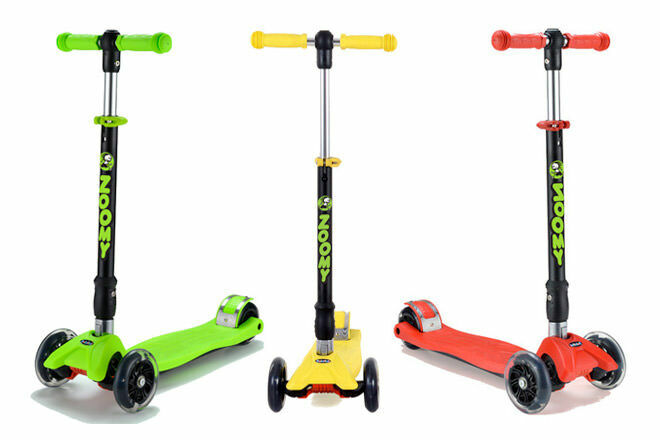 Your kidlets can even use these clever scooters indoors without the wheels marking up your floors. 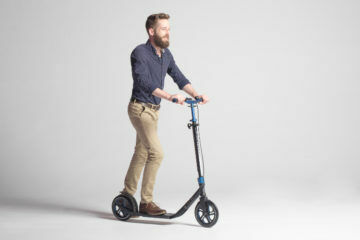 Zoomy Scooters come in either mini or maxi sizes. And if you’re expecting (another!) 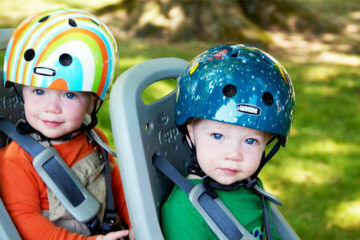 growth spurt, you can choose a model with adjustable handles so the scooter can grow at the same rate as your little beanstalk. These scooters are made tough to survive the harsh Aussie sun and will remain just as colourful years later, so you can then hand them down for younger zoomers to enjoy. 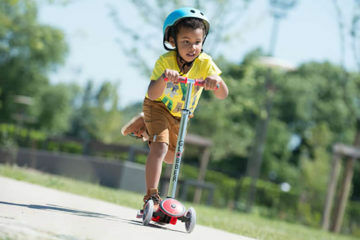 With a low deck and two wheels up front for stability, Zoomy Scooters come in a range of five fab colours (red, blue, pink, green and yellow) to suit your lil’ racer’s personal style. 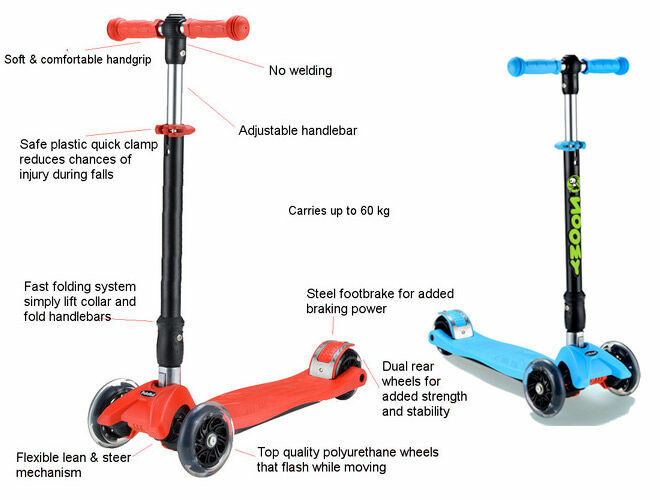 You can pick up one of these awesome scooters online from the Zoomy Leisure store, with prices ranging from $54.95 – $79.95. You’ll even nab free shipping within Australia.